This is Weekly Update #25, today with some stats from the launch of One Tap RPG and some insights on the development of Card Crawl. Our latest game One Tap RPG was released on the 6th of August and is now 10 Days old. We were lucky on getting the last featuring spot in New Games in almost all countries, besides the US. The general feedback from players was very mixed. It seems that a lot of people very expecting way more than the game actually is. This resulted in a rather low 2 stars overall rating so far. Non the less we also got positive feedback and people wanting more depth, liking the general concept. Based mainly on the featuring and some people being interested through our efforts on posting in various forums and contacting press, we could generate 2870 downloads. At a price of $0.99 this results in a total of $2000 so far. We are pretty happy with these numbers as the development didn’t took too much time, using Orxy-Designlabs awesome sprites. Obviously the download numbers will drop now that the featuring is over. We definitely want to localize the game in Japanese and Chinese as we got some good responses from Asian players. In general we would like to add the often missed depth to the game, but we always have to judge based on our time and resources. 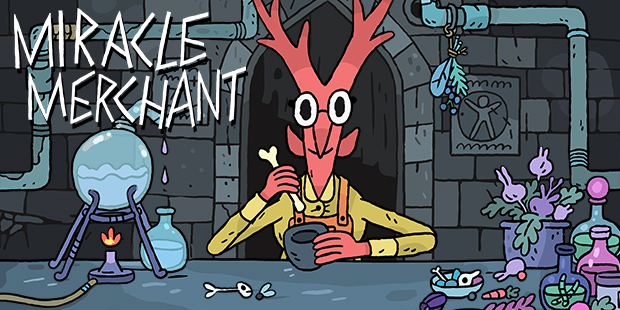 As posted in the Weekly #24 we have been working heavily on Card Crawl this week. We decided to open up the game for everyone to play-test, which resulted in very good feedback changing the general design of the game significantly. A lot of testers were complaining about the high luck low strategy of the original concept. We addressed those issue by adding hand cards, making the next attack of the Monster visible and in general adding a lot of transparency to the game. 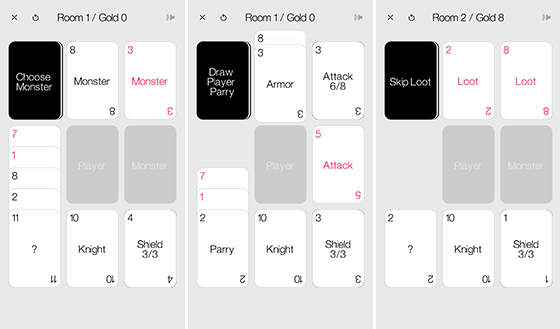 We still have some smaller issues to design, but we are pretty confident with the latest version that can be played here: tinytouchtales.com/CardCrawl (Unity Web-Browser). On the website you can leave your feedback which is much appreciated! That’s it for this week, have a nice weekend!